Welcome to The Success Factory store. 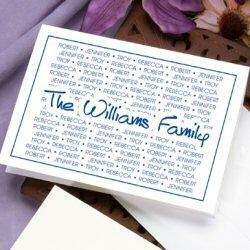 Fabulous Stationery personalized with your name and your company name! A HUGE INVENTORY LIQUIDATION SALE beginning on December 26th with PRICES SLASHED on EVERY SINGLE ITEM of Women\'s Brand Name Fashions in the store to include all Dresses, Cocktail Dresses, Sweaters, Separates, Casual Wear, Shoes, Accessories and much more. 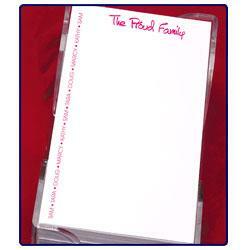 Set of 50 foldover notecards in ivory or white with envelopes. Notecard size is 6.2" by 4.5". Production time 3-4 working days plus delivery. A large family name in the center and up to 10 first names in the background! Background names are meant to break up behind large foreground name as shown. Lettering will always be upper/lower case for name and upper case for names in background.